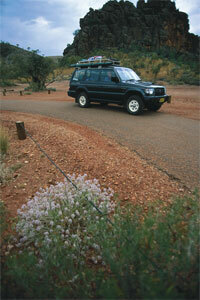 Getting to Uluru from Alice Springs: Many visitors come to the park as part of a road trip around outback Australia. 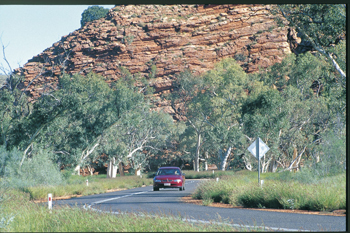 • The famous Red Centre Way is a multi-day drive of this extraordinary region, taking in Uluru-Kata Tjuta National Park, Watarrka (Kings Canyon), Tjoritja (West MacDonnell Ranges), Alice Springs and more. 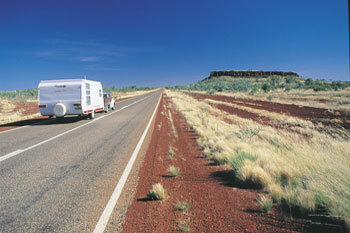 A Campervan, 4wd Camper and Motorhome drive from Alice Springs: Uluru is 465 km from Alice Springs by road. If you are driving directly this should take about 5.5 hours. • Though you will most likely stop at Stuart Wells, Mount Ebenezer Roadhouse, Curtain Springs, Mt Connor roadside viewing area so allow 10 hours. • We suggest once you land in Alice Springs pickup you and stay at • BIG 4 - MacDonald Range Caravan Park Heavitree Gap-Palm Circuit my mate Matt Hutchinson said it'd the best true outback family van park he has found to date. Car hire: Don’t have your own vehicle? 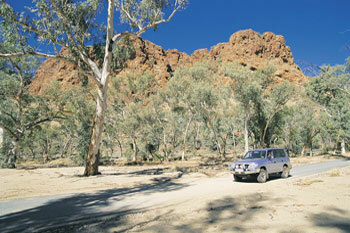 4wd and 2wd car hire with Airport Rentals You can hire a car from Ayers Rock Airport, Yulara or Alice Springs. 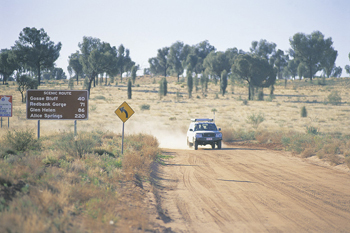 There are only a limited number of rental cars in Yulara, so we strongly recommend booking a few weeks ahead to avoid missing out. 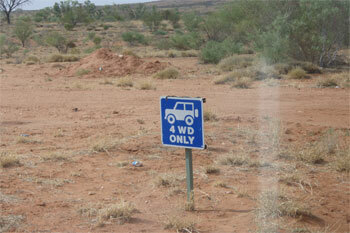 • If you get a 2wd car or 4wd car hire from Ayers Rock Airport or resort you may not be allowed to go to any or most offroad places so check first. 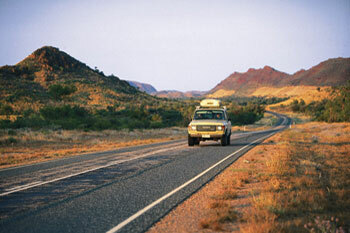 • Car hire companies may not let you into 4wd roads to Palm Valley, The Mereenie Loop, Arltunga Historical Reserve and hotel, Ruby Gap, Tanami Track, NDhala Gorge Nature Reserve, Chambers Pillar, Rainbow Valley, Trephina Gorge (theres a very deep dip in the access road getting there) and Wallace Rockhole. 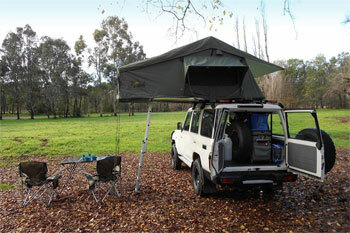 Though our 4wd hire offroad camper hire are allowed into the majority of places. 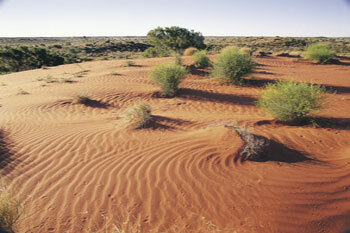 Interesting facts about Uluru: • See about Uluru and interesting facts on Uluru further below. 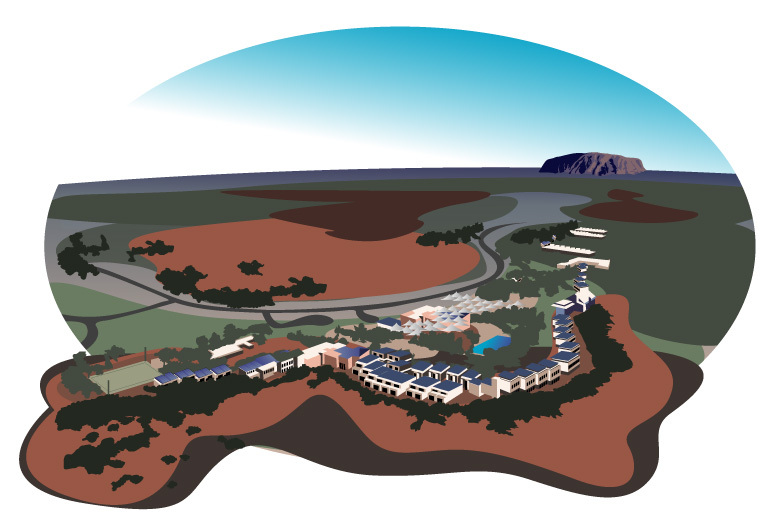 Weather & Climate at Uluru | Ayers Rock Resort: Uluru is situated near the centre of a semi-arid desert, which most people would associate with a hot and dry climate. • Here the temperature can vary dramatically. Temperatures can range from 5° C in July to 37° C in January. 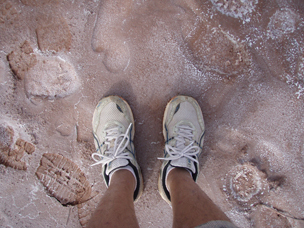 What classifies a desert is the amount of rainfall it receives. 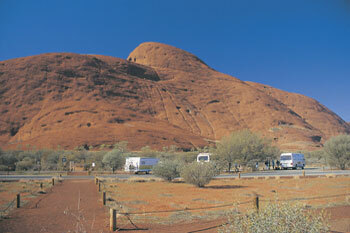 On average Uluru-Kata Tjuta receives approximately 308mm (12 inches) per year. Not much at all. So you should consider it lucky if you get to see Uluru in the rain. • Desert climate, average temperatures range from approximately 22 degrees Celsius (72 degrees Fahrenheit) in winter to 35 degrees Celsius (95 degrees Fahrenheit) in summer. Daytime temperatures during summer can exceed 40 degrees Celsius (104 degrees Fahrenheit). 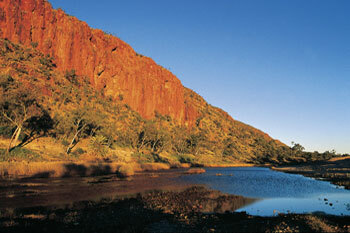 • Uluru-Kata Tjuta averages 308mm (about 12 inches) rain each year. • If it rains count yourself as extremly lucky as you will get the chance maybe to take a selfie of you with a Uluru waterfall as a back drop. It typically has let's say 6 days a month all year round when it is cloudy so you would have to be lucky to actually be there when it rains. Lets see when it rains at Uluru by visiting the offical Australian weather site Bom.gov.au (Uluru weather and rain link is already there). There you see November is the heaviest at 24.4m of rainfall but with morther nature now days you can never be sure. 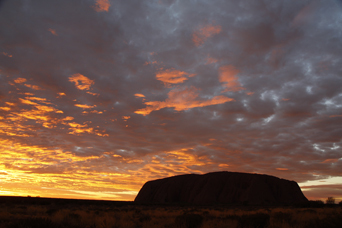 • Witnessing a sunset and sunrise over Uluru (Ayers Rock) is an awe-inspiring experience and a 'must do'. Here's all the information you need to ensure you make the most out of this twice-daily spectacle. 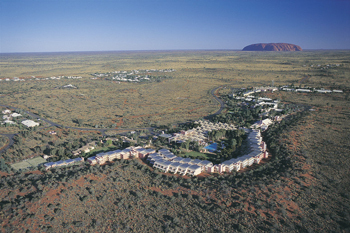 • Only 20km from Uluru, Ayers Rock Resort provides a variety of Uluru accommodation options and Uluru holiday deals for all tastes and budgets, from 5-star Sails in the Desert Hotel to the Ayers Rock Campground. • Located 15km from Uluru, Ayers Rock Campground caters to the en-route travel camping needs, from air-conditioned cabins to powered sites for caravans, campervans, motor homes and camper trailers, or pitch your tent on lush green grass under the shade of native desert oaks. The Campground also provides a range of services and facilities including a swimming pool, playground, bbq facilities and outdoor kitchen and self-service laundry facilities to make the great outdoors truly enjoyable. 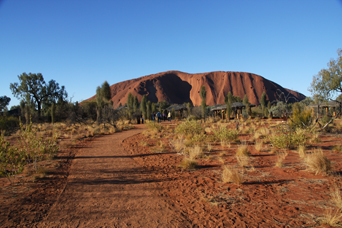 Located within Ayers Rock Resort, the campground is an ideal base from which to experience the beauty of the living cultural landscape of Uluru-Kata Tjuta National Park. 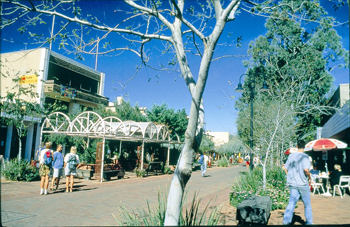 The Resort boasts a range of restaurants and bars, shops, a well-stocked IGA supermarket, petrol station, Tour & Information Centre, art galleries and a convenient complimentary shuttle service to get around. 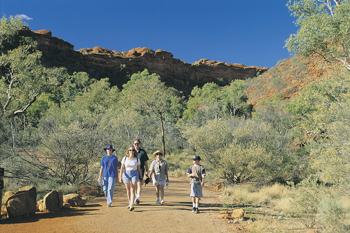 As a guest staying at the Ayers Rock Campground you can participate in a range of Free Daily Activities including guided garden walks and Indigenous bush yarns. 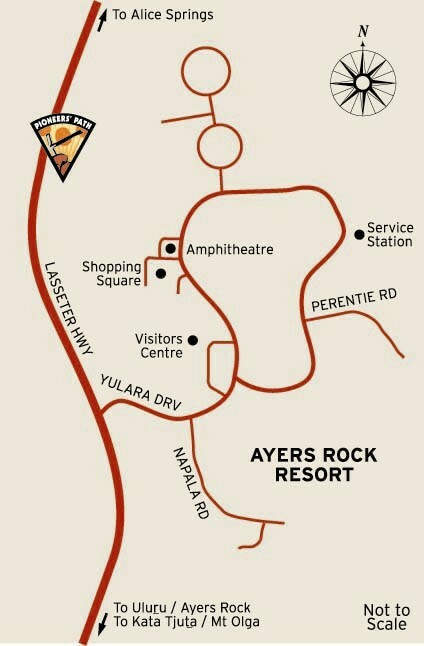 Ayers Rock Resort Camping - Powered Site: The campground is close to all facilities and consists of 198 Powered Camping Sites which are spacious offering plenty of room to relax. Each site is featured on a shaded area with power for added comfort - electrical outlets 240/250 Volt, 50Hz AC. Campgrounds on the way to Ayers Rock Resort from Alice Springs: Via the Stuart Highway and the Lasseter Highway part of the Red Centre Way scenic route. • We just luv this place thanks Ashley, Lyndee and Peter Severin - see the cartoon on the pub wall - you will know when you see it. 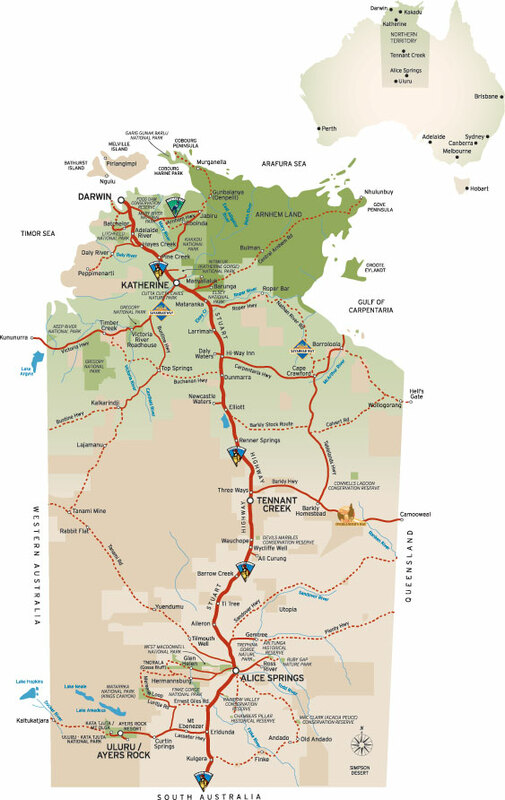 • Occupying an area of 416,400 hectares (1,028,947 acres) the working cattle station and roadhouse facility is located on the Lasseter Highway, 85 kilometres (53 mi) east of Yulara and the Uluru-Kata Tjuta National Park in the Northern Territory of Australia. • Only Campground. In our campground, we have 4 powered sites and unlimited unpowered sites available. • Powered sites are $45 per night. • There is no charge for unpowered sites. 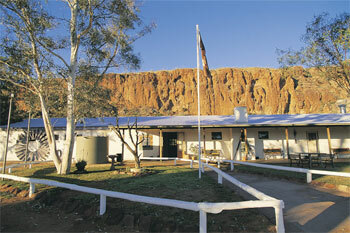 https://www.curtinSprings.com/wayside-inn/accommodation/campground/ • We do not take bookings or reservations for unpowered sites. • We do not allocate specific space for each unpowered site. • Arrive early so you have a better choice of sites! • There is a small charge per person/per shower for your hot shower and it applies to everyone in both powered and unpowered sites. • Collect and bring your own wood for your campsite (along the roadside is the best place to find wood, there is no wood in our immediate vicinity). • What to do at Curtain Springs: curtinSprings.com/curtin-springs-paper/curtin-springs-paper-tours and .curtinsprings.com/shop and Peter has a wide range of native birds and parrots in our large aviaries. • The store is open from 7am until late every day of the year. We sell petrol, diesel, soft drinks, ice creams, food, souvenirs, tea and coffee as well as alcohol both to drink in or takeaway. • Now when I lived in Alice Springs and visted there back in the 90's they didn't have camping but apparantly now they do. 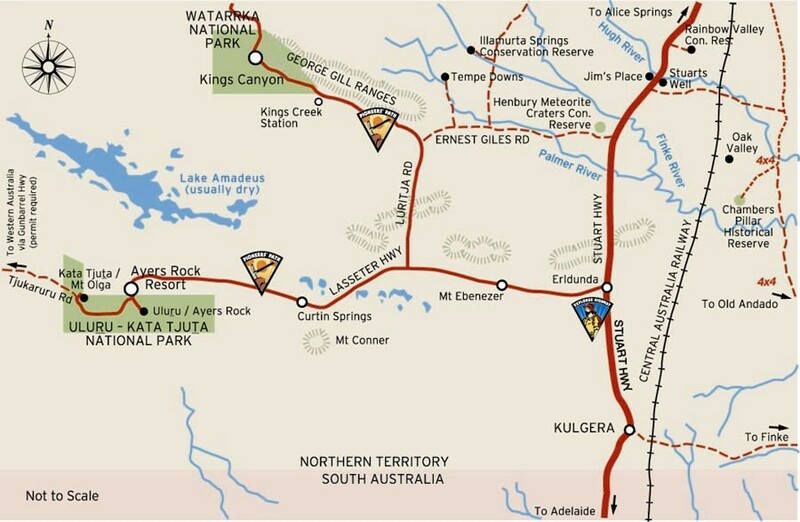 A 2wd Motorhome road trip in Uluru from Alice Springs: Let's explain the red centre region even further: You can stop and see these destinations before or after your Uluru road trip from Alice Springs and loop back, just check our maps. 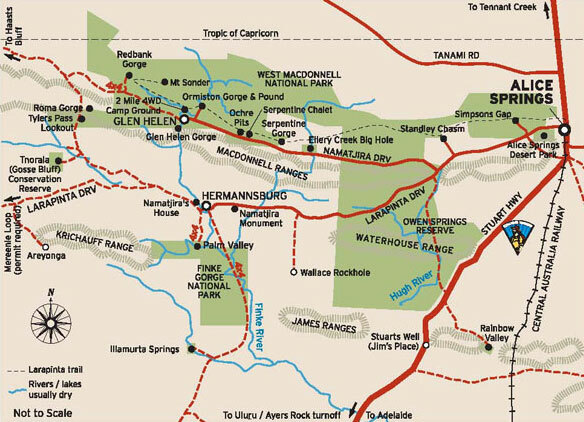 A 4wd camper road trip from Alice Springs to Uluru and the Mereeniee Loop, West MacDonnell Ranges and East MacDonnell Ranges: The where a 4wd camper can go also..
• Uluru park’s name was changed to Uluru and Kata Rock–Mt Olga) National Park in 1977. In 1985, after more than 35 years of campaigning, Anangu were recognised as the traditional owners of the park and handed back the deeds to their homelands. 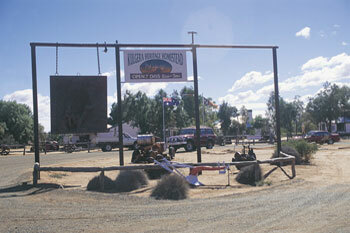 The park was officially renamed Uluru-Kata Tjuta National Park in 1993. 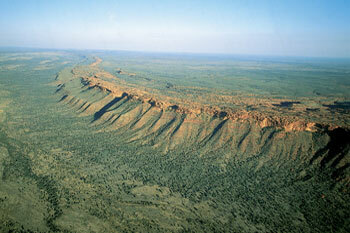 Though many locals and even myself still refer to Uluru as Ayers Rock and Kata Tjuta as the Mt Olga. 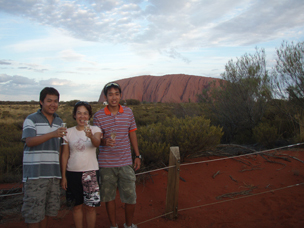 • Uluru-Kata Tjuta National Park is included on the UNESCO World Heritage List for both its natural and cultural values. The park was first added to the list in 1987, when the international community recognised its spectacular geological formations, rare plants and animals, and outstanding natural beauty. 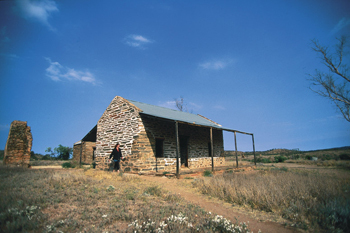 • In 1994, UNESCO also recognised the park’s cultural landscape – the unique relationship between the natural environment and the belief system of Anangu, one of the oldest societies on earth. • Uluru-Kata Tjuta National Park is one of only a few dozen places in the world to have received a dual World Heritage listing (and one of only four in Australia). 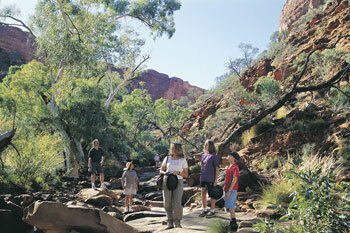 • Take the time to soak up the natural beauty and rich culture of Uluru-Kata Tjuta National Park. From mind-blowing rock formations to endless vistas, from soaring domes to unbelievable crevices and rock art paintings, our walking tracks are the ideal way to discover the hidden features of the park. Most of the tracks are wheelchair accessible and range from easy to moderate. 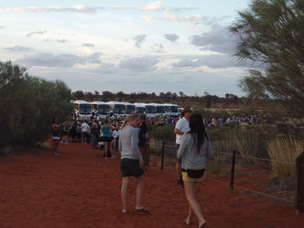 • How to do the Uluru base walk - We recommend you start the base walk from the Mala carpark in the early morning, while it’s cool. 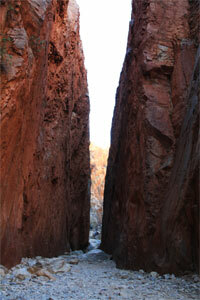 Facing the rock, start by going clockwise. Each section will look and feel completely different. Some areas are surprisingly green and lush, providing plenty of wildlife and bush tucker spotting opportunities, while other sections feel open and vast, with little shade. The base walk will take you through acacia woodlands and grassed claypans. 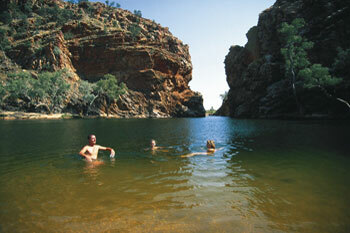 You will encounter bloodwoods, native grasses, and many waterways and waterholes. 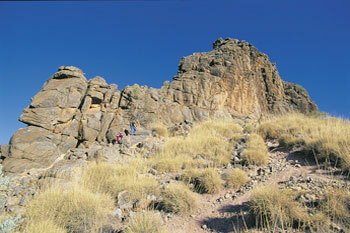 The base walk is the best way to discover the diverse plants, animals and geological features of the park. 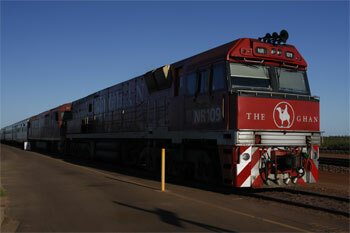 Some tracks close in the afternoon during the summer, due to the high risk of heat stroke. 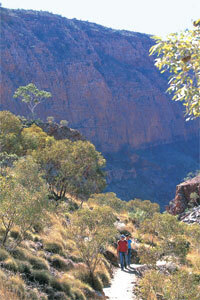 • This walk goes from the Mala carpark to Kantju Gorge. 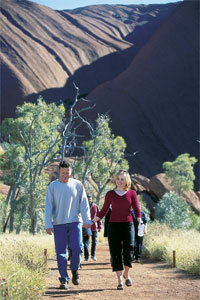 It’s the same path taken by the daily ranger-guided Mala walk and most tours of Uluru. Enter the caves where the Mala (rufous hare-wallaby) people camped when they first arrived at Uluru and see the kitchen cave where they prepared their meals. 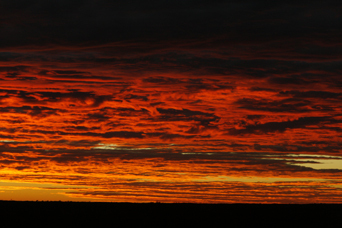 The Mala people are the Anangu’s ancestors, and their story is one of the most important stories of Tjukurpa. 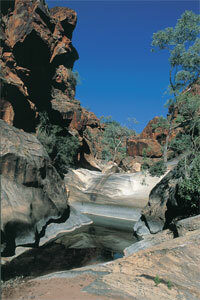 Admire the fine examples of rock art along this walk before arriving at Kantju Gorge, a place of profound peacefulness surrounded by sheer vertical walls. Drinking water is available on this walk. 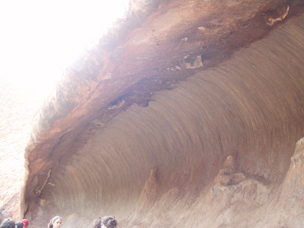 • The north-east face of Uluru features some of the rock’s most mysterious formations. 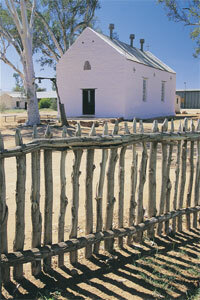 It is dotted with sacred sites that should only be seen in person. 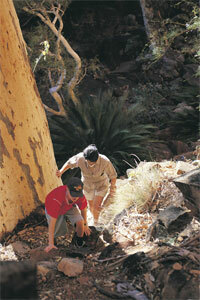 This is the longest open stretch of the Uluru base walk, running from Kitchen Cave on the Mala walk to Kuniya Piti. The track distances itself from the rock as it crosses the north-east face. 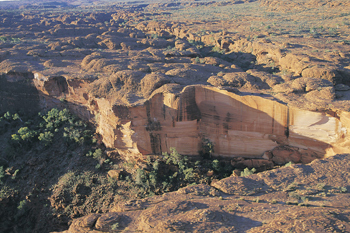 According to Anangu culture, the rock formations of the north-east face hold chapters of creation stories that should only be learned in person. It is inappropriate for any images of these sites to be viewed elsewhere. 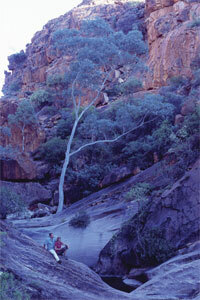 • The Liru walk (named after the poisonous brown snake) winds through a mulga forest. It often comes alive with colourful flowers after rain. 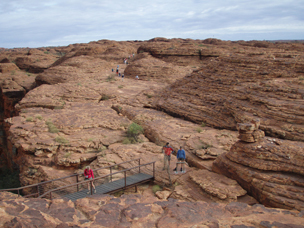 This track connects the Cultural Centre with the base of Uluru. A few hundred metres from the Cultural Centre you’ll find one of the park’s best-kept secrets – a large shelter in a sandy clearing with uninterrupted views of the rock. Mostly passed through by cyclists and very few visitors, this is a fantastic place to soak up the solitude, listen to the wind in the trees and contemplate the sheer magnitude of Uluru. • One of the few permanent water sources around Uluru, Mutitjulu Waterhole is a place where you can sit quietly and listen to the sounds of the beginning of time. 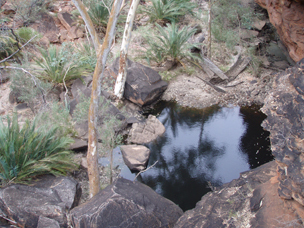 The short Kuniya walk runs from the Kuniya carpark to Mutitjulu Waterhole. The presence of water means this area is particularly lush and shady. 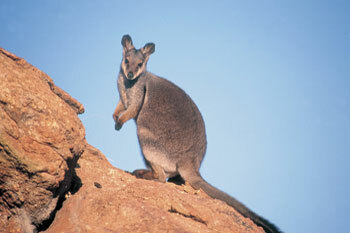 This is one of the few places in the park where you may see wallabies among the tall grasses and river red gum trees. Bush foods also abound, including tjantu (bush tomatoes), ili (figs) and arnguli (bush plums). 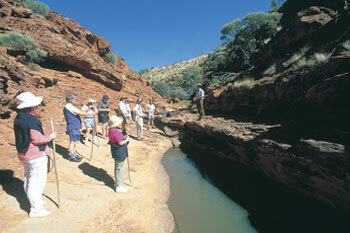 Mutitjulu Waterhole is a special place where Uluru’s traditional owners regularly take VIPs. The British Royals and the Dalai Lama are just some of the famous faces who have visited. If you get the waterhole all to yourself, take a moment to sit on the bench and close your eyes to experience an intimate connection with nature. The sound of the trickling water and the chirping of the birds will fill your heart with a sense of peace and joy. • This idyllic track runs right next to Uluru, providing many opportunities for you to touch the rock and feel its textures. The area is also home to thousands of birds. 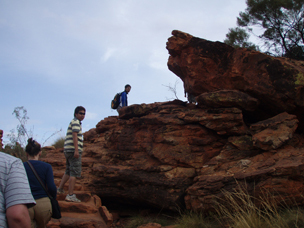 Connecting the Kuniya walk with the Mala carpark, the Lungkata walk is one of the most geologically impressive and visually diverse sections of the Uluru base walk. 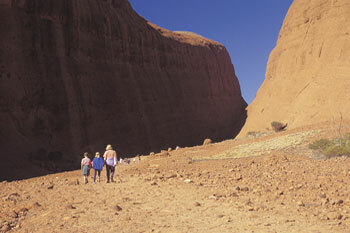 There are sections where the sides of Uluru slant down to meet the path. Here you’ll encounter spectacular elevated caves and crevices – carved by millennia of wind and water erosion – which are home to thousands of birds. 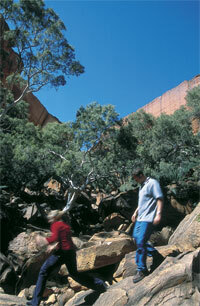 The Lungkata walk isn’t as well travelled as Uluru’s other tracks. 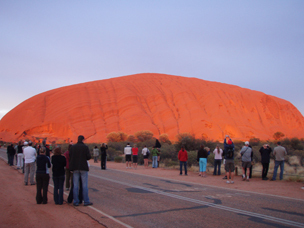 If you’ve already seen an Uluru sunset from a distance, consider coming here for a front-row seat of the rock glowing bright red at dusk. 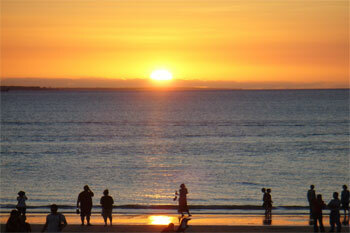 You’ll feel the warmth emanating from the rock as the sun sets over the horizon. Park beside the road near the stretch of track that connects the ring road with the base walk (near the Mala carpark). 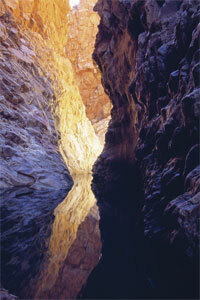 Bring your binoculars or a long lens to see hundreds of tiny birds nesting high up in the caves. • Kata Tjuta, also known as the Olgas, is a group of large, domed rock formations or bornhardts located about 360 km southwest of Alice Springs, in the southern part of the Northern Territory, central Australia. 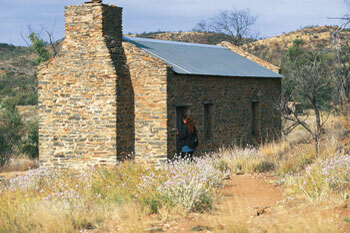 • Choose from a number of walking trails that range from easy strolls to longer, more difficult tracks. 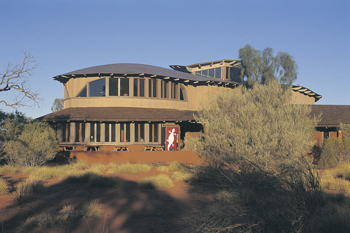 At the end of the short walk to the Kata Tjuta dune viewing area you can sit and take in the magnificent panoramic view of the domes. 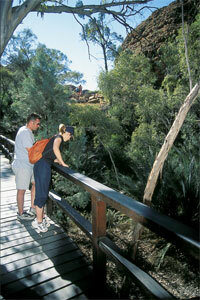 • The Walpa Gorge Walk is a rocky track that rises gently and passes rare plants and leads to a grove of spearwood. 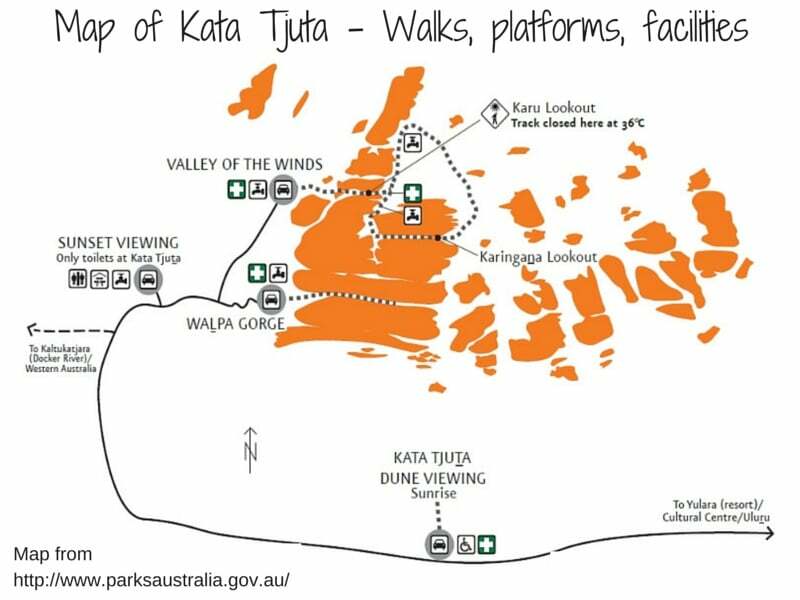 • The longest of all trails at Kata Tjuta is the Valley of the Winds Walk – a moderately difficult track with breathtaking views. It is very steep in places, but the 7.4km circuit is worth the effort (3 to 4 hours) – it takes you between the domes, through creek beds and away from the crowds. 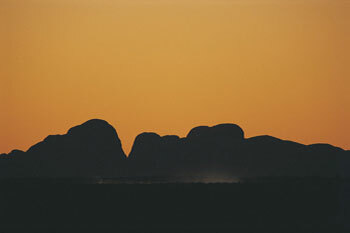 • Hike around the soaring rock domes of Kata Tjuta / The Olgas at sunset and watch them glow and change colour with the surrounding desert landscape. 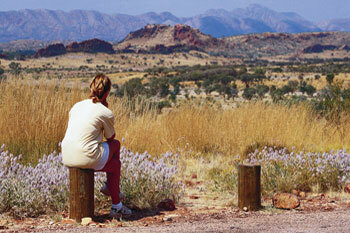 Australia’s Red Centre is home to natural wonder and cultural landmark, Kata Tjuta (the Olgas). 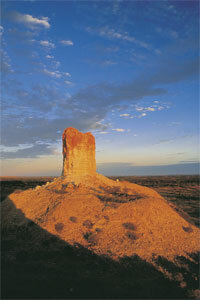 Hike around the soaring rock domes, which glow at sunrise and sunset. 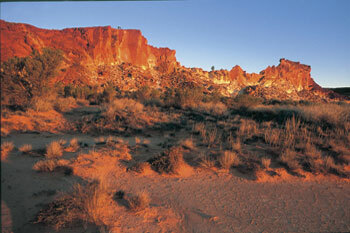 Located approximately 40km west of Uluru, the ochre-coloured shapes are an intriguing and mesmerising sight. 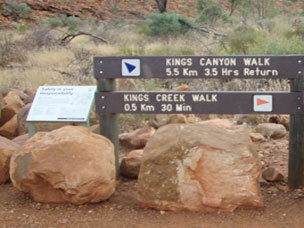 • Kings Canyon to Uluru (Ayers Rock) 306km - 3.5 hour drive from Ayers Rock Resort on sealed road. 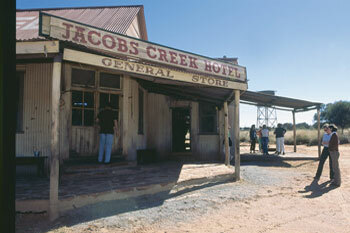 • The station lies 36 kilometres from the magnificent Kings Canyon (Watarrka) and is set amongst majestic desert oaks. • The cooler months (April to September) are the most pleasant. 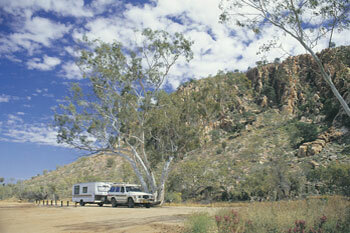 Overnight camping in tents or campervans is not permitted in the National Park. 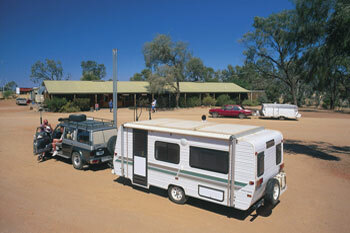 Commercial motel and camping accommodation is the only option available for visitors wishing to stay overnight at Watarrka. 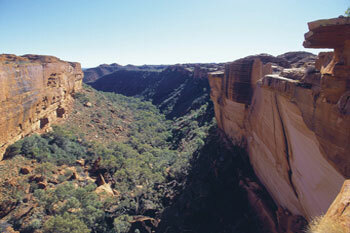 • Watarrka National Park (Kings Canyon) includes the western end of the George Gill Range. 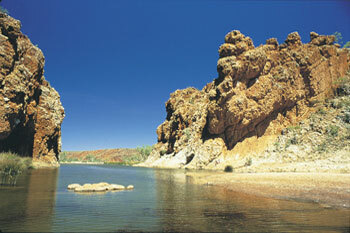 • This scenic landscape of rugged ranges, rockholes and moist gorges acts as a refuge for many plants and animals. 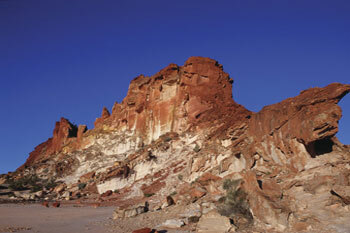 This makes the Park an important conservation area and a major visitor attraction in Central Australia. 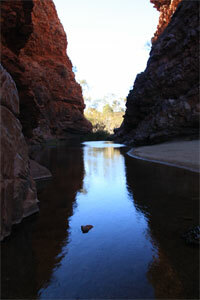 • The Kings Creek Walk (2.6 km, one hour return). The gentle slope of the track meanders up Kings Creek. This walk is suitable for families. Wheelchairs can access the first 700 metres. 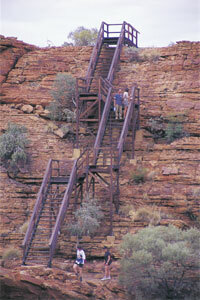 • The Kings Canyon Rim Walk (6 km loop, 3-4 hours). 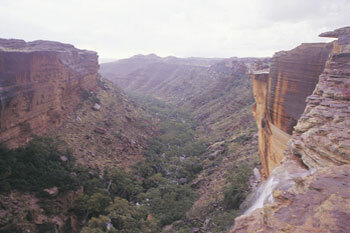 After an initial steep climb the walk offers spectacular views from the Canyon rim. 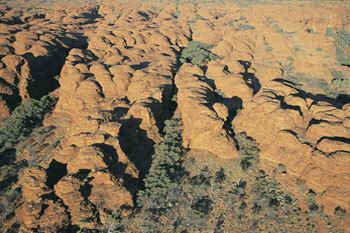 Along the way are the weathered domes of the ‘Lost City’ and the lush vegetation of the ‘Garden of Eden’. This walk is suitable for fit, experienced walkers. 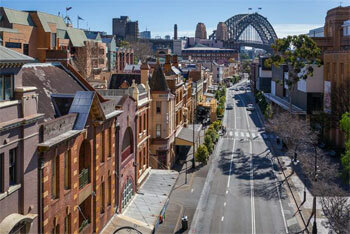 • South Wall Return Walk (4.8 km, 2 hours return). 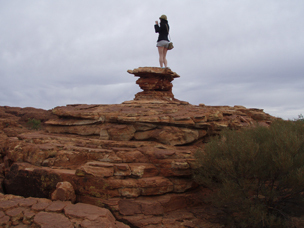 Starts with a steep climb up the southern rim of Kings Canyon and offers stunning views of the Park’s geological features. Suitable for fit, experienced walkers. 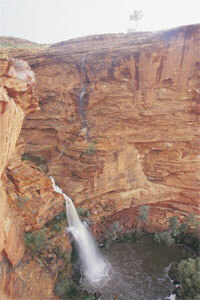 • Kathleen Springs Walk (2.6 km, 1.5 hour return) leads to a delightful spring-fed waterhole, suitable for families. Wheelchair accessible. 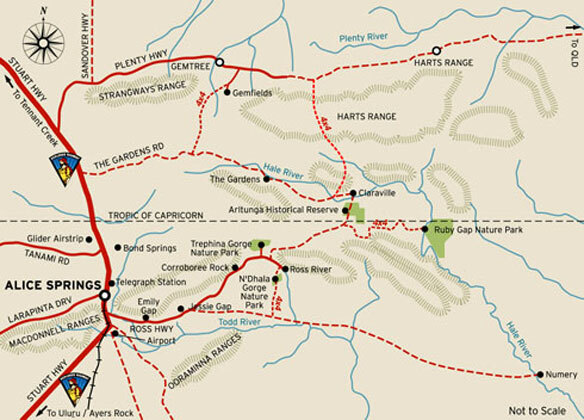 • The Giles Track (22 km, 2 days) traverses the top of the range from Kathleen Springs to Kings Canyon with a halfway entrance/exit point at Reedy Creek/Lilla. Notify a reliable person of your intended walk plans and ensure they know to contact police if you do not return by the arranged date. Carry a satellite phone or personal locator beacon. 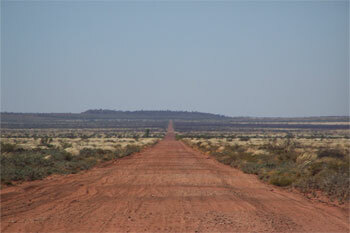 • via the Stuart Highway, Lasseter Highway and Luritja Road (sealed roads). 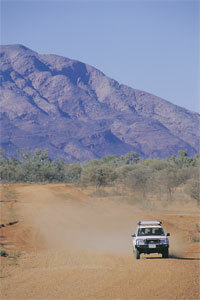 • via Larapinta Drive through the West MacDonnell National Park. 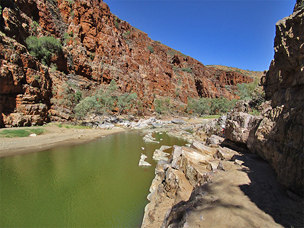 A Mereenie Loop pass is required to travel this route and is available from the Alice Springs Tourist Information Centre, Glen Helen Resort and Kings Canyon Resort (4WD is essential). • via the Stuart Highway, Ernest Giles Road (4WD essential) and Luritja Road. 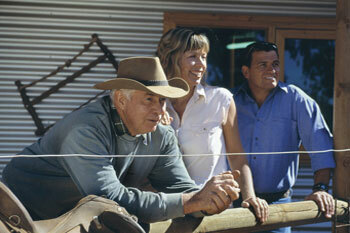 • Kings Canyon offers every facility and amenity you require for basic comforts, convenience and travelling needs. Facilities have been designed to make life for travellers easier and include laundry, barbeque, swimming pool, tennis court, restaurants, bar, convenience store and petrol station, dedicated viewing deck for prime viewing of the sun setting over Kings Canyon and roaming WiFi. 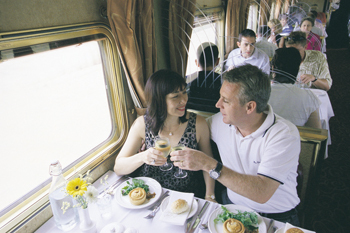 Our food and beverage offering ranges from a simple bistro meal at Desert Oaks Bistro to a grand take on the Aussie BBQ and the remarkable beauty of dining under a Desert Moon. 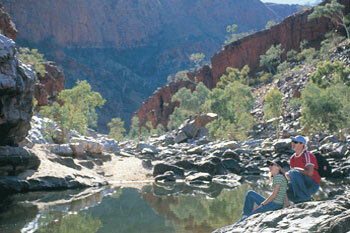 • Uninterrupted views to Kings Canyon makes this is one of the most picturesque camp sites in the Red Centre. Situated in the shadows of Kings Canyon and offering uninterrupted views, guests camping or pulling in their caravan for a few nights truly have some of the best seats in the house. • Powered sites for caravans and motor homes and the introduction of sites with en-suites sees this part of the camp ground busy all year round. On the grassy area of the site, up to 100 campers can pitch their tents under the stunning southern sky and in the shade of the surrounding native bush land. 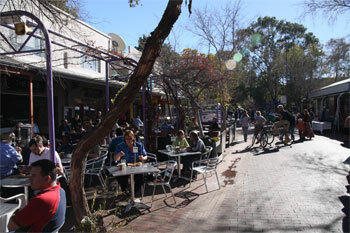 The resorts bars and restaurants, convenience stores and petrol station are available to camp ground guests. 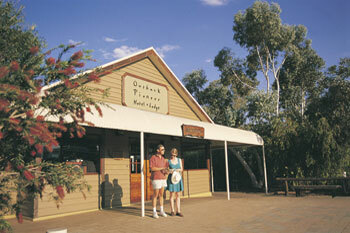 For those travelling for an authentic outback experience - we look forward to welcoming you. 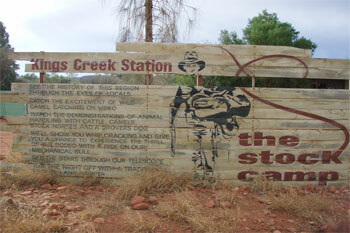 • Kings Creek Station is a working cattle/camel station with facilities from self camping, safari tents, a bush swag camp, and the Dreamtime Escarpment glamping. 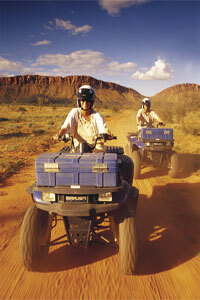 • An opportunity to experience the outback either by quad (4 wheel motorbike) or helicopter. 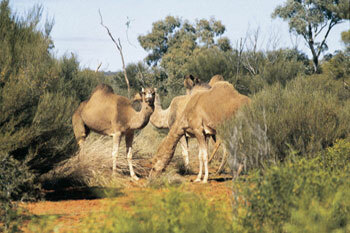 • The station sells camels for live export, live domestic sales and meat. Basic supplies, meals and drinks can be bought at the station shop. You could even try one of our famous Kings Creek camel burgers. • Child 5 and under free of charge. •Prices include GST. MasterCard, Bank Card, VISA and EFTPOS welcome. Seniors Card holder discount applies. 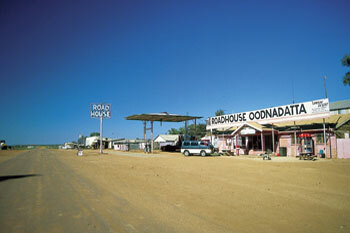 • Roadhouses and campgrounds see information above. 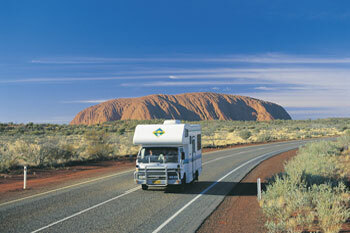 • Uluru Road Trip Fast Facts: A 300km a day allowance from Maui, Britz and Apollo motorhome hire should be plenty; as to date as not one of our customers to date has ever given feed back they had to pay excess. 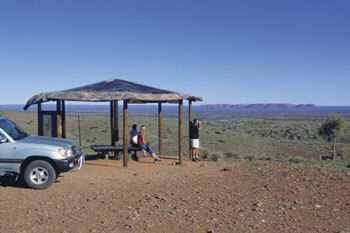 • What To Bring On A Uluru Road Trip: We have listed here a few suggestions based on our own 4wd Kakadu trip and our travelled customers feedback. 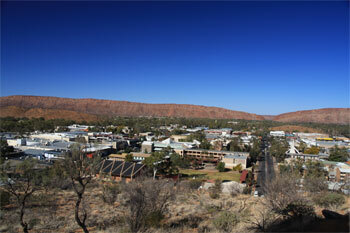 Click here for the most amazing panorama view of Alice Springs by Matt Hutchinson our close friend. How high is Uluru? 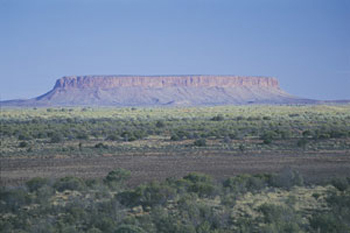 Uluru rises 348 metres above the surrounding plain. That’s higher than the Eiffel Tower in Paris, the Chrysler Building in New York or the Eureka Tower in Melbourne. 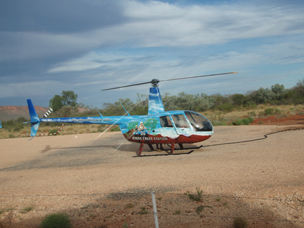 How far is it around Uluru? 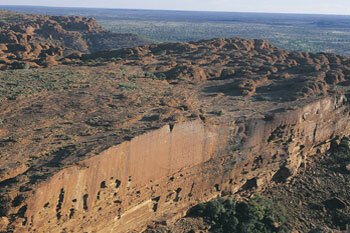 If you walk right around the base of Uluru, you’ll discover the rock has a circumference of 9.4 km. 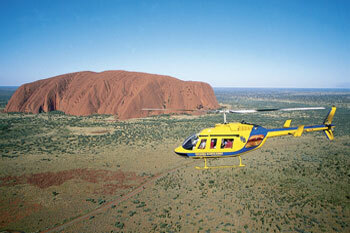 How much does Uluru weigh? 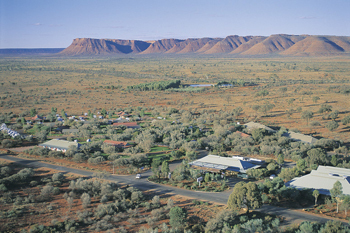 In 2018 the Northern Territory Geological Survey calculated the weight of Uluru for the ABC TV series Catalyst. Their estimate was 1,425,000,000 tonnes – and that’s just the part above the ground! 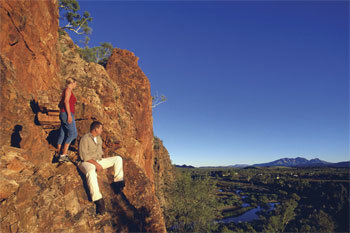 How high is Kata Tjuta? The tallest dome of Kata Tjuta rises 546 metres above the plain, the same height as the One World Trade Centre building in New York. 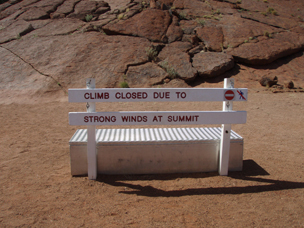 When did Uluru-Kata Tjuta become a national park? 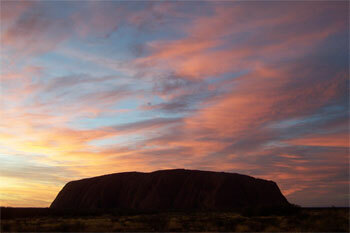 Ayers Rock (which we now call Uluru) was first declared a national park in 1950. 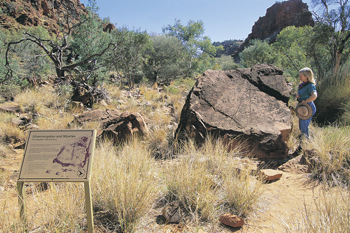 In 1958, both Ayers Rock and Mount Olga (now Kata Tjuta) were excised from an Aboriginal reserve to form the Ayers Rock–Mt Olga National Park. 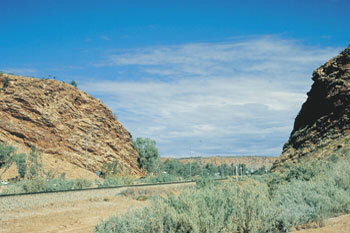 The park’s name was changed to Uluru and Kata Tjuta (Ayers Rock–Mt Olga) National Park in 1977. In 1985, after more than 35 years of campaigning, Anangu were recognised as the traditional owners of the park and handed back the deeds to their homelands. 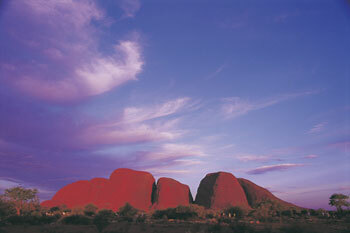 The park was officially renamed Uluru-Kata Tjuta National Park in 1993.
Who owns Uluru and Kata Tjuta? 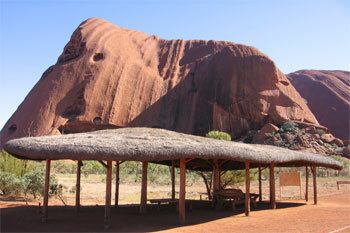 Anangu own Uluru and Kata Tjuta and lease the land to the Australian Government. 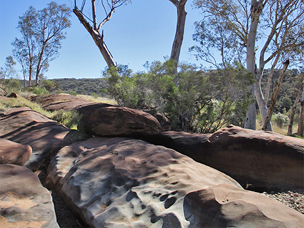 Parks Australia and Anangu work together as partners, jointly managing the national park using a mix of modern science and traditional knowledge. 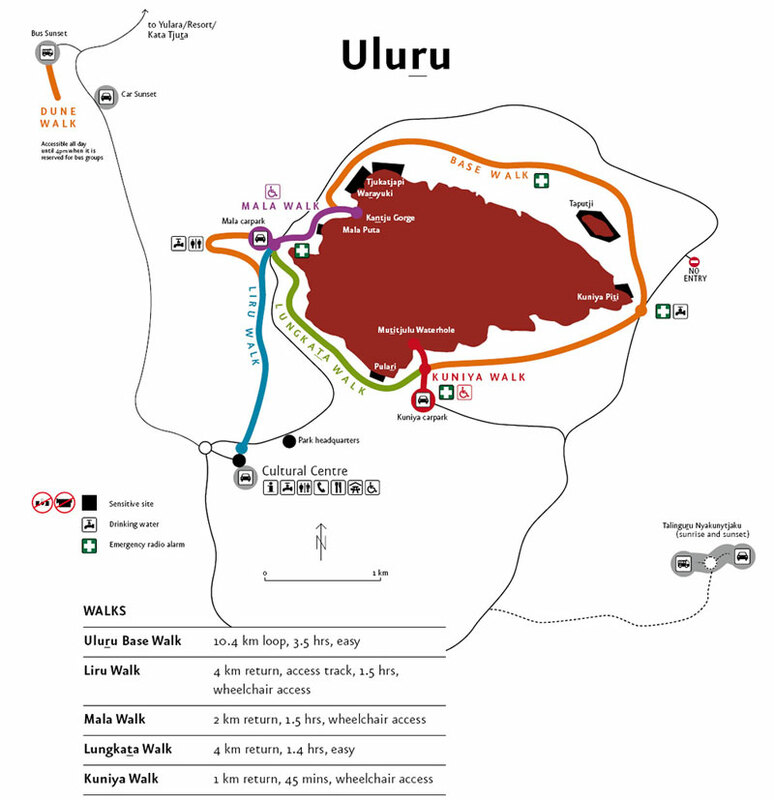 How long have Aboriginal people lived in the Uluru-Kata Tjuta area? 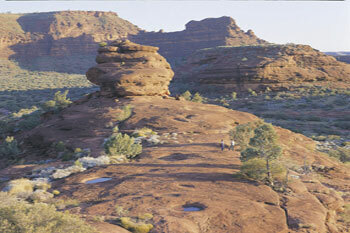 Anangu have lived and managed this country for many millennia. 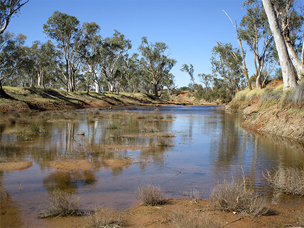 Archaeological evidence shows that Aboriginal people have inhabited Central Australia for more than 30,000 years. Who were the first non-Aboriginal people to see Uluru and Kata Tjuta? 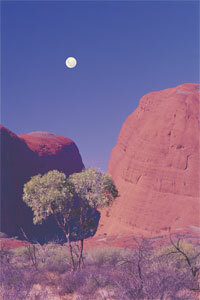 In 1872, a party led by the explorer Ernest Giles spotted Kata Tjuta during their travels through Central Australia. 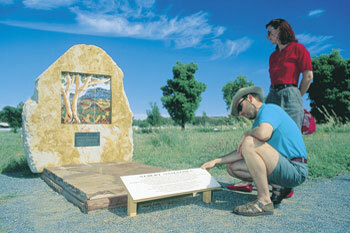 The following year, explorer William Gosse became the first European to see Uluru. 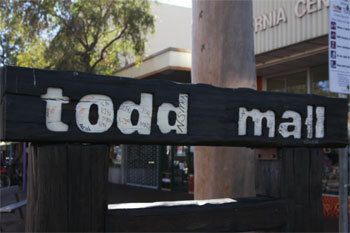 Do Aboriginal people still live traditionally? 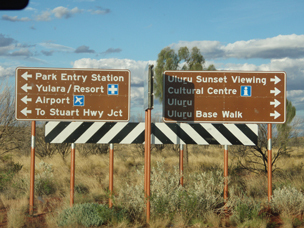 Uluru-Kata Tjtua is a living cultural landscape. 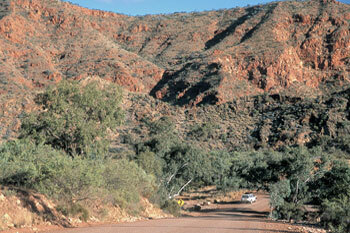 Anangu are still guided by Tjukurpa (law) to keep their culture and country strong. This is something that has never changed. If you visit Uluru you may see people dot painting, performing inma (traditional dance and song), telling Tjukurpa stories or gathering bush tucker. Is it always hot and dry in the park? In summer it can get really hot, with temperatures as high as 47°C during the day. But during winter the overnight temperature can drop to -7°C . You might be surprised to learn that the park also gets around 300 mm of rainfall every year. 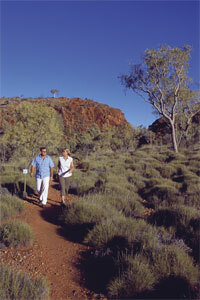 How many different types of animals live in Uluru-Kata Tjuta National Park? There are a lot of animal species in the park, including 21 different mammals, 73 reptiles, 178 birds and 4 desert-dwelling frogs. 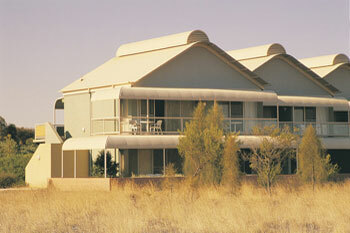 Is it true that there are shrimps living at Uluru? Sometimes. After heavy rains, small, tadpole-like crustaceans called shield shrimps (Triops australiensis) hatch in temporary waterholes and rock pools in the park. When the water dries up, the shield shrimp eggs also dry up and can remain dormant for several years until the next big rainfall. 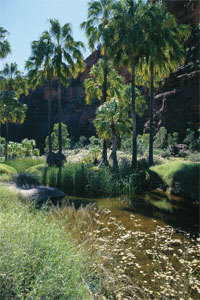 How many different types of plants are there in Uluru-Kata Tjuta National Park? 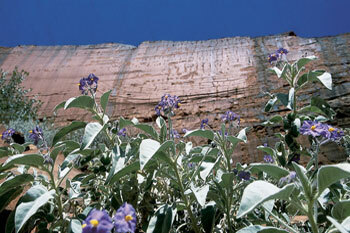 There are more than 400 different plant species growing in the park. 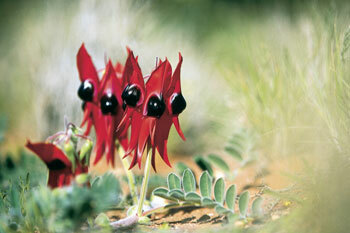 Many of these plants have traditional uses as bush foods, tools or medicine. 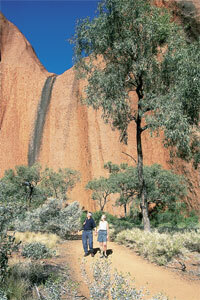 How many people visit Uluru-Kata Tjuta National Park? Every year more than 250,000 people come from all over the world to experience the natural and cultural wonders of Uluru and Kata Tjuta. • Photo Credits Matt Hutchinson, Dianne from Singapore, Rob Berude.